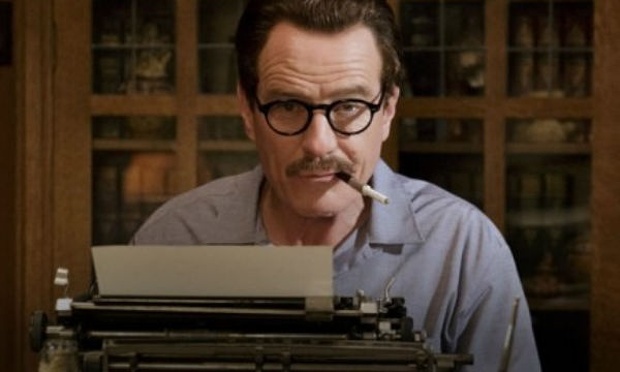 Bryan Cranston’s film script is exact and precise. Jay Roach’s biopic of blacklisted 1940s screenwriter Dalton Trumbo is a dual exercise in fondness for the man and love for the industry.The film is a fascinating account of how show business works, where success ultimately subverts everything else. If there’s one subject that Hollywood finds infinitely fascinating, it’s Hollywood. In the past five years, three of the best picture Oscars have gone to films about how the industry sees itself: as a place of heroism (Argo), integrity (Birdman) and nostalgia (The Artist). Rarely do two of these qualities have much bearing on what movies get made. But Trumbo, a biopic about Dalton Trumbo, the screenwriter shunned by the industry during the blacklist, is a rare thing: a film that calls Hollywood on its crap, while ladling on a little bit more in the form of misty-eyed romanticism.